Today’s book review is brought to you by short story author and novelist Jenny Worstall. If you’d like your book reviewed or to send me a book review of another author’s book, see book-reviews for the guidelines. Other options listed on opportunities-on-this-blog. Synopsis: When a circus elephant goes missing on Detective Inspector Crombie’s watch, he immediately thinks of Celtic Cousins Wren and Rhyllann, who have to his mind made a career out of being the collective bane of his existence. And his instincts are correct: the cousins HAVE been up to something–but when Crombie finds out what it is and why, he runs into resistance not only from his immediate superiors, but also from the corridors of power in Whitehall itself. Described by one reviewer as a “Masterful British Thriller” this is the third and shortest of the Celtic Cousins Adventures, and contains adult humour and some strong language. Especially when an unsuspecting Rhyllann discovers what’s lurking in his bathroom! An Explosive Time starts with a fatal explosion; the action comes thick and fast, and Crombie will need all his wits about him to prevent his world – and London town – going supernova. 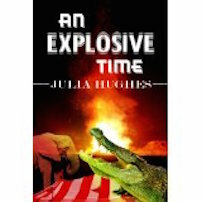 Purchase link: http://www.amazon.co.uk/Explosive-Time-Celtic-Cousins-Adventures-ebook/dp/B007COSZX6 and http://www.amazon.com/Explosive-Time-Celtic-Cousins-Adventures-ebook/dp/B007COSZX6. We are plunged into excitement and mystery from the very onset as we read of an amazing night time explosion with a body burned almost beyond recognition. This is the third adventure story of Wren and Rhyllann, the “Celtic Cousins”, by Julia Hughes. DI Crombie, the long suffering policeman, is determined to get to the bottom of the bizarre events which unfold, involving a missing eight ton African elephant, a stolen alligator and a host of unpleasant villains. I particularly liked the fact that Crombie, as the father of four daughters, was very difficult to fool, even when sinister criminals tried! Vivid descriptions and fast paced dialogue introduce a host of characters; Charlie Bozen (Sorry Charlie!) who goes commando under his grease stained jeans, WPC Holland, often close to tears and out of her depth in the force, long legged circus girls wearing feathers and not much else and an enormous alligator with a taste for fish and chips, to name but a few. As the breathless adventure rattles towards a violent climax, the sub plot of an unexpected love story pursues a gentler but no less satisfying path. This is very well written, extremely entertaining and a jolly good read! Highly recommended! Today’s book review of a novella is brought to you by yours truly, Morgen Bailey. If you’d like your book reviewed or to send me a book review of another author’s book, see book-reviews for the guidelines. Other options listed on opportunities-on-this-blog. Being a writer and editor, I read and review books with both hats. If you’re a writer reading this review and found it useful, do let me know. This story is available via http://www.amazon.co.uk/Spirits-Christmas-Nicky-Wells-ebook/dp/B00G9GNAP6 and http://www.amazon.com/Spirits-Christmas-Nicky-Wells-ebook/dp/B00G9GNAP6. The story starts with our main character, Jude, falling out with his band mates then returning home to find his girlfriend has moved out. He doesn’t appear to be bothered and we soon learn that he’s a very unpleasant person. As with Dickens’ tale, Jude receives visits from various ghosts and during the story, he realises what he has become. Once the ghosts have gone, Jude has to work out how to make it up to the people he loves and who at one time loved him. Although in Dickens’ version we know Scrooge makes amends, it didn’t necessarily mean it would happen in this case so I followed Jude wondering whether his plan would work and enjoyed the ups and downs as the other characters reacted to him. Today’s book review of a single short story is brought to you by yours truly, Morgen Bailey. If you’d like your book reviewed or to send me a book review of another author’s book, see book-reviews for the guidelines. Other options listed on opportunities-on-this-blog. Synopsis: When 10 year-old Jake finds a body in the deserted church he cannot help police much with their enquiries, although the Children’s Home say he’s the cleverest boy there. What does he really know? The unreliable narrator lays out an analysis of his past to frustrate the reader. The well-meant guideline for planning his future becomes distorted. His chequered life leads to a chilling conclusion, if we can believe it. Is death a key to his future? This short is available via http://www.amazon.co.uk/Oyster-potential-choirboys-sinister-discovery-ebook/dp/B00OQTA1FK and http://www.amazon.com/Oyster-potential-choirboys-sinister-discovery-ebook/dp/B00OQTA1FK. Rosalind Minett (writing name) trained as a dancer, but academic life took over. She studied in Birmingham, Sussex and Exeter universities before enjoying a career as a chartered psychologist. The inner life of her characters determines their fate in her stories, whether humorous, historical or criminal. She relishes quirkiness, and writes about always imaginary people. Her ironic avatar – Girl Before Word Processor – (with thanks to Picasso) with its two faces, suggests her two selves, the serious and the irreverent. It also refers to the watcher and the seen, the inner and the outer person. Presently on Amazon is a collection of ironic short stories, Me-Time Tales: Tea breaks for mature women and curious men. This has its own blog where the characters do the talking: http://fictionalcharacterswriting.blogspot.com. A Relative Invasion is a trilogy about a boyhood rivalry that mirrors the tensions in Europe during WWII. Book 1, Intrusion. Book 2, Infiltration. Book 3, Impact. Crime Shorts is a series. 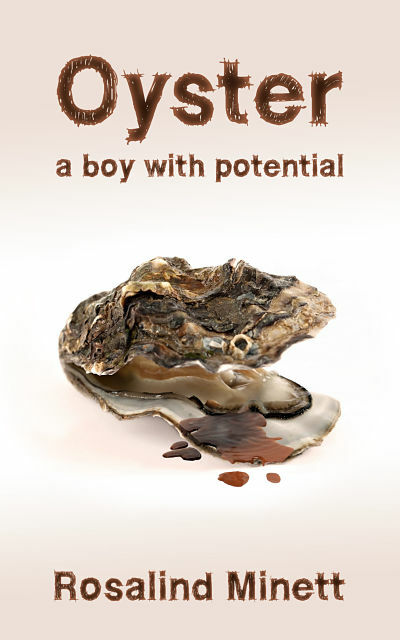 The first is on Kindle: Oyster: a boy with potential. Forthcoming novels, The Parody and Speechless. Rosalind lives in the West Country and loves scenery, sculpture, theatre and fine art, all of which can be found in and around Bath. Today’s book review, of a coming-of-age historical novel, is brought to you by yours truly, Morgen Bailey. If you’d like your book reviewed or to send me a book review of another author’s book, see book-reviews for the guidelines. Other options listed on opportunities-on-this-blog. Synopsis: As grown-ups worry about war emerging in Europe, Billy’s war is just beginning. He so wanted a playmate but when he is introduced to his manipulative cousin, the frail and artistic Kenneth, Billy’s South London world becomes threatening. The adults only see the porcelain looks of Kenneth and not his darker soul. For Billy, his cousin is more fearsome than fun. Emotionally neglected by parents, bullied by uncle and psychologically abused by cousin, Billy takes to imagining he owns the precious Cossack sabre of his father’s work colleague. Mr Durban values sturdy and well-meaning Billy, the son he never had. His daughter, Angela, is also a safe and welcome friend. She secretly shows Billy the sabre and much later he learns of its near mythical background from Mr Durban. Its story of power and influence impresses and engages Billy’s imagination. It becomes an icon sustaining him through Kenneth’s invasions, through separation from his family and then the shock of war. As well as hardships, evacuation brings some significant emotional advantages, the unpretentious billet providing Billy with people who value his good nature. Returning home for Christmas he finds his home comforts further threatened by Kenneth. By the summer, the war itself comes frighteningly personal as Billy sees its effects first-hand. Then bombing in London panics the family into a rapid departure. Kenneth’s nerves demand the best billeting, but can Billy rise above a further separation? 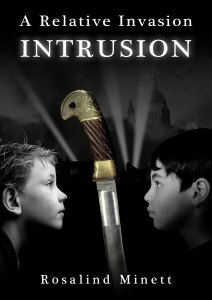 This novel is available via http://www.amazon.com/INTRUSION-boyhood-rivalry-Relative-Invasion-ebook/dp/B00NW97US6 and http://www.amazon.co.uk/INTRUSION-boyhood-rivalry-Relative-Invasion-ebook/dp/B00NW97US6. This book starts in 1937, on the day the Duke and Duchess of Windsor met Hitler. The main character, Billy, is an engaging boy, dominated by his mother, which makes him all the more innocent (calling the Nazis ‘Nasties’ and misunderstanding his father’s ‘name’)… and appealing. He’s waiting for his cousin Kenneth but it’s soon revealed what a nasty boy Kenneth is. A visit to a family friend’s house, the Durbans, introduces us to Angela, and Billy to the sabre. He thinks of it every time he’s having it tough, which thanks to most of the people around him is often, and it proves to be a source of comfort. We then follow Billy on the ups and downs that affect him, his family and the country over the next few years, and the ending not only brought a smile to his face but also to mine. 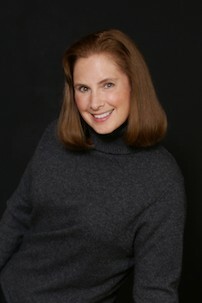 Complementing my interviews, today’s Author Spotlight, the three hundred and seventy-third, is of children’s author and blogger Edith Fine. If you would like to take part in an author spotlight, take a look at author-spotlights. Still a big fan of Michigan, her home state, Edith now lives and writes in southern California. She went from teaching to writing, holding her first published book in her hands in 1989. 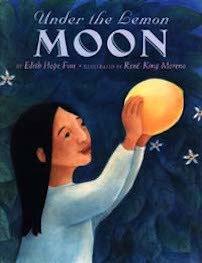 Edith’s books include the award-winning Under the Lemon Moon (Lee & Low Books), Cricket at the Manger (Boyds Mills Press), Water, Weed, and Wait (Tricycle Press, Random House), and Cryptomania! Teleporting into Greek and Latin with the CryptoKids, a zany teleporting adventure for young readers that covers 200 basic Greek and Latin roots. 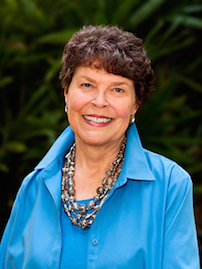 Not one to stick with a single genre, Edith has written four biographies for young readers (geneticist Barbara McClintock, author Gary Paulsen, Martin Luther King Jr., and Rosa Parks). Two user-friendly grammar guides, Nitty-Gritty Grammar and More Nitty-Gritty Grammar (Ten Speed Press, Random House), highlight common bloopers and feature popular syndicated comics that will lower the anxiety of grammarphobes; co-authored with Judith Josephson. They blog monthly as the Grammar Patrol at http://eFrogPress.com. Fine and Josephson also collaborated on Armando and the Blue Tarp School (Lee & Low Books), a picture book based on the work of David Lynch who went to volunteer at the Tijuana dump in 1980. Finding no school, he spread a tarp on the ground and began to teach. He’s now in his thirty-fourth year of working with students who live by the dump and has extended his work to the dump near Matagalpa, Nicaragua. Armando was nominated for a California Young Readers Medal and named a Children’s Choice by One Book, One San Diego. Edith is active in the San Diego Chapter of SCBWI (the Society of Children’s Book Writers and Illustrators) where she heads the published members’ group. Her four grandkids live nearby. She swims daily, enjoys cooking and baking, reads voraciously, and has fun with friends and her invaluable critique groups. 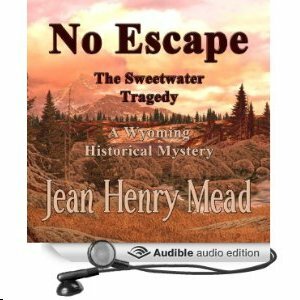 Today’s guest blog post, on the topic of audiobooks, is brought to you by multi-genre author Jean Henry Mead. What’s happening to the Book Buying Market? Every writer I’ve talked to has said that print and ebook sales are down. Many believe that Amazon’s Kindle Select Program, which offers “freebies,” is responsible for the loss of sales. But there’s another reason: the growing popularity of audio books, which account for a growing share of the market. Busy people don’t have to forsake their favorite authors because they can listen to them on e-readers, computers and other electronic devices. Audible.com has gone even further with its Whispersync program, which allows the buyer to switch back and forth between reading and listening on Kindle Fire. And I’m not referring to the robotic voices previously available on all e-readers. The narrators don’t just read the stories, they bring the plot to life by acting out each character’s voice. Granted, men attempting to imitate women’s voices or women imitating men can be humorous, but generally, they do quite well. 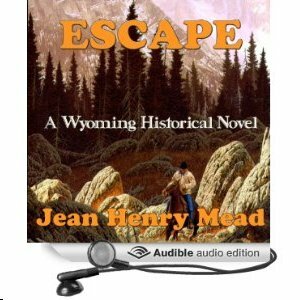 One of my novels, Escape, a Wyoming Historical Novel, contains two short songs, which the award-winning narrator struggled with and only succeeded in adding to the book’s humor. Working with various narrators can be fun although probably frustrating for them. A talented young woman is recording my children’s mysteries as well as my adult novels. When she asked how the sheriff in A Village Shattered should sound, I told her I envisioned his voice as Clark Gable’s. Bless her heart, she really struggled with that and I know she re-recorded him a number of times before she came up with a voice simulating the late actor. My audio books are featured at Amazon.com, Audible.com and iTunes as well as in ebook and print editions. Audible placed my first four books on sale for the first month. 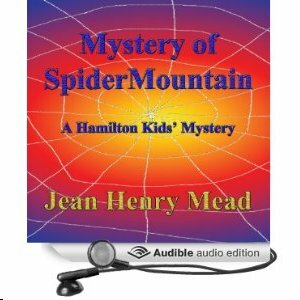 Two of them are also on Whispersync; one of them my first Hamilton Kids’ novel, Mystery of Spider Mountain, which is currently on sale for only $1.99. I have more books in production, which will become available later this month, and I check my sales each morning so I’ll know which books to promote. And promote you must, as with ebooks and print editions. I believe that audio books will continue to grow in popularity because they can be listened to while cooking, cleaning, walking and completing other chores as well as driving. I don’t recommend taking your iPad with you in the car unless you have a holder that will prevent it from falling to the floor, distracting you while driving. Audible gives you the option to download electronically as well as making your own CDs to play while you drive. The audio company I’m currently with has some 30,000 audio books available and nearly 2,000 freelance narrators to record a writer’s book. Some narrators are better than others and have invested many thousands of dollars in recording equipment, often turning home closets into semi-sound proofed recording studios. So you have to listen carefully to each audition to determine which narrator to hire. They operate on an hourly basis of $50-$400 per finished hour or a 50-50 royalty split. I chose the split because you never know how well your book is going to sell. My novel, Escape, is nine and half hours long, so the hourly rate would have been astronomical. Many audios are out-of-print books rather than sound track originals, and anyone who owns the audio rights to their books can become a part of the new marketing trend. Listening to my own books has been my ultimate writing goal, and I’m pleased that the dream has finally come true. Morgen: I love audiobooks (and recording short stories for my podcast) so that was really interesting. Thank you, Jean. Jean Henry Mead is an award-winning novelist and photojournalist published domestically as well as abroad. 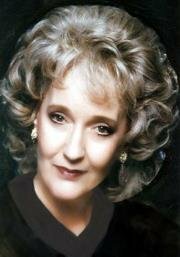 She’s the author of 20 books, half of them novels, which include the Logan & Cafferty mystery / suspense series, Hamilton Kids’ mysteries, Wyoming historicals and nonfiction books. Jean’s website is http://www.jeanhenrymead.com. and from this blog, my guests who have written on this topic are… Ken Le Salle, and Rachel Cochrane. Complementing my interviews, today’s Author Spotlight, the three hundred and fifty-first, is of children’s writer Diane Christiansen. If you would like to take part in an author spotlight, take a look at author-spotlights. Diane Mayer Christiansen graduated with a Biology degree despite her struggles with dyslexia. She worked at both the University of Chicago and Northwestsern University doing genetic research. Diane is now a published author writing young adult fantasy and middle school chapter books. Her characters are based around children with special needs such as dyslexia and Autism Spectrum Disorder. She speaks to parents and teachers about learning to celebrate those things that make our children different and her journey with her son and his ASD.